Move over March Madness! March is all about makeovers! Forget March Madness, this month is all about Makeover Madness with Mary Kay Makeover Day this Saturday, March 8th! Anytime is a good time for a new look but this Saturday also happens to be International Women&apos;s Day, the perfect opportunity to take some time for yourself, learn pro makeup application techniques, get a gorgeous new look, and have fun with color! To celebrate Makeover Dey and showcase Mary Kay&apos;s vast array of color products, celebrity makeup artist Virginia Linzee created “Delicate Details” – one of two looks that will be showcased on Saturday. Inspired by 2014 runway fashion, the look brings “runway to “reality” and shows us how to wear red lips. I love a bold lip for any occasion but it does require that the rest the face be more subtle to not look overdone. 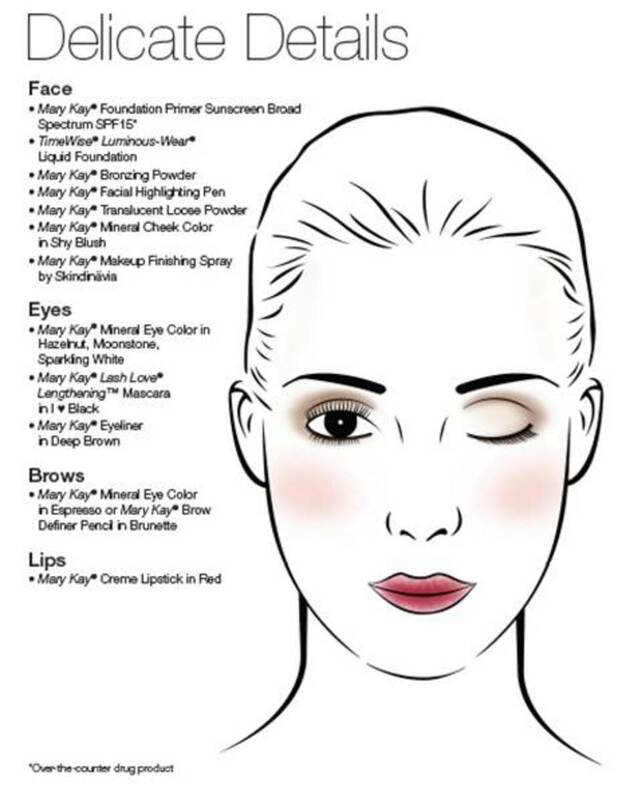 STEP 1: Apply Mary Kay® Mineral Eye Color in Hazelnut to the creases and on the eyelids. Layer on Moonstone, taking it up to the brows. Apply Sparkling White as a pop of color in the middle of the eyelids. STEP 2: Line upper and lower lash lines with Mary Kay® Deep Brown Eyeliner. STEP 3: Apply Mary Kay® Lash Love® Lengthening™ Mascara in I ♥ black. STEP 4: Define brows with Mary Kay® Brow Definer Pencil in Brunette or Mineral Eye Color in Espresso. STEP 5: Brush on Mary Kay® Mineral Cheek Color in Shy Blush. STEP 6: Apply Mary Kay® Creme Lipstick in Red. Blot, then reapply at the center of the lips. With the goal of beating its record of 44,000 makeovers in a day, Mary Kay Makeover Day gives women everywhere the opportunity to get a free makeover. To find a local makeover event, click here for a party near you. The giveaway begins at on 3/6/2014 and runs until midnight on 3/14/2014. Winner must reside in the US and be 18 years or older. No purchase is necessary to enter or win. Void where prohibited. I’ll choose a winner in one week via random.org. Good luck!